Depending on how large the blizzard is depends on how long the land takes to recover, sometimes takes from a couple days to months! Blizzards can have a great effect on organisms and the environment, such as dangerous road conditions causing lots of traffic and accidents. Also, be careful when walking/driving by buildings, so much snow can cause it to collapse! The extreme temperatures can cause plants and animals to freeze to death. 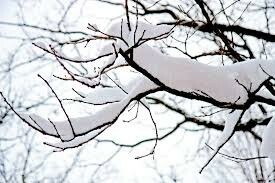 Sometimes when there is so much snow on one branch, it could fall and land on other plants or animals and hurt them. 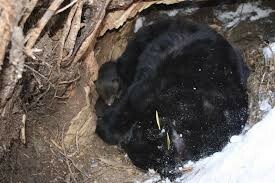 Some animals such as bear temporarily hibernate, when winter comes and theres snow, such as a bear. 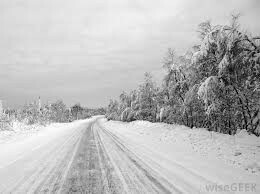 An change that blizzards have on humans is that they cant drive ( sometimes ) and when driving can't see out of windows because of all the snow. 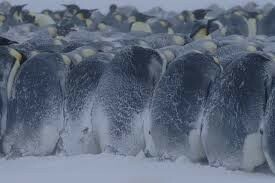 Penguins in Antarctica walk longer distances to get to pack ice, where they can be sure to not fall through they ice and be able to catch some fish under neath the ice. This is a bear hibernating in the Winter, he will wake up when Spring comes. There is so much snow no one can get to their cars or even houses sometimes! People can't drive anywhere so they mostly stay indoors. Some of the ice where the penguins are is not safe to be on, they have to find a nice solid place to still catch fish and stay warm.